How Are Pesticides Registered In Canada? | Chatham-Kent Agriculture Development | We Grow For the World! 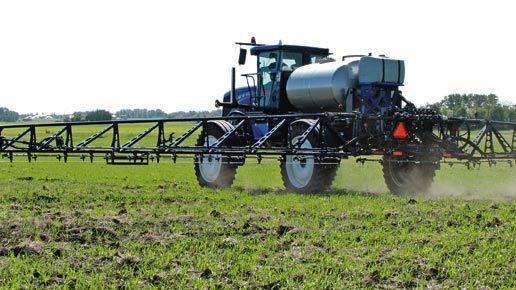 » Ag News » How Are Pesticides Registered In Canada? A pesticide, or pest control product, is a substance (insecticide, fungicide, or herbicide) used to prevent, destroy or repel pest organisms. 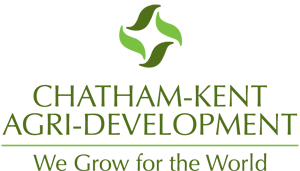 All products applied to a plant for the purpose of controlling a pest in Canada, whether conventional or organic, must be registered federally by the Pest Management Regulatory Agency (PMRA). The PMRA is an agency of Health Canada, which registers each pesticide under the federal Pest Control Products Act and re-evaluates previously registered pesticides to determine acceptability for future use. When registering a pesticide for use in Canada, the PMRA evaluates many factors including the potential risk to human and animal health, the impact on the environment and the usefulness of the pesticide to the agricultural industry. These regulations are designed to ensure pest control products are used with minimal risks to worker health, food and the environment. If a company wants to sell their pest control product in Canada, they are required to provide detailed information to the PMRA. The registration process is extensive, involving several steps, which can take several years to be completed. A value/efficacy assessment which determines whether the product has value for the purposes claimed, and establishes the lowest dose required to still achieve product effectiveness while limiting the potential risks to human health and the environment. If the product being assessed does not pose any significant threats and provides substantial benefit to the agricultural industry, the pesticide will be considered for registration with a five-year probation period. The pesticide will be given a label, which contains important usage information and is a legal document that users are required to follow. If the product poses substantive environmental or health risks, then a recommendation of refusal of registration may be made. Once a pest control product is federally registered for use in Canada, it cannot be sold or used in Ontario until it is classified under the provincial Pesticides Act, which places all pest control products into one of 12 classes on the basis of its toxicity, persistence and other factors. Each classification determines how the product can be distributed, sold and used in Ontario. In order for growers to buy and use Class 2 and 3 pest control products, they must take a Grower Pesticide Safety Course and become certified, while homeowners are only permitted to use Class 5, 6 and 7 products. The Ontario Pesticide Advisory Committee (OPAC) reviews and recommends pesticide classification to the Ministry of Environment and Climate Change (MOECC), which is responsible for regulating all pesticides provincially. Click on the following links for more information on Using Pesticides in Ontario and on pest control products for specialty crops.